Welcome to our lesson for September 10, The Story of Moses, found in Exodus 1:8-17:7, 19:1- 40:38. The script is adapted from the story found in the pink Enrichment Presentations for Fall book, p.58-65. Sunday school teachers, I will emailed you a copy of the adapted script. If you’d like a copy and you’re not at FBG, feel free to email me and I’ll try my best to send it out to you. What an exciting story- and one children always love. Perhaps as we think about Moses’ humble beginning, our children will reflect on their own beginnings and know that they can be used by God to do great things for God’s kingdom as well. Most all of us can identify with not feeling up to the task or equipped to serve God. Moses’ story shows that willingness is all that it takes, that God will take care of the rest. The timing of this story works well too with our story schedule, since we just shared the lesson of Joseph and will cover the Exodus story next. This adapted script ends right before Moses goes to talk with the Pharaoh, so the Exodus story can be shared as written in its Godly Play script. Be sure to end this story helping the children enjoy the suspense for next week’s lesson. It would be wonderful for them to go home asking what happens next, and reflecting on the story of the day. 1. I wonder what was your favorite part of today’s story? 2. I wonder what was the most important part? 3. I wonder if Moses ever made bad choices. I wonder if God can use people who sometimes make mistakes. 4. I wonder how Moses felt when God told him that God wanted Moses to set the people free from slavery. 5. I wonder what Moses did to get ready to speak to the Pharaoh about setting the people free. 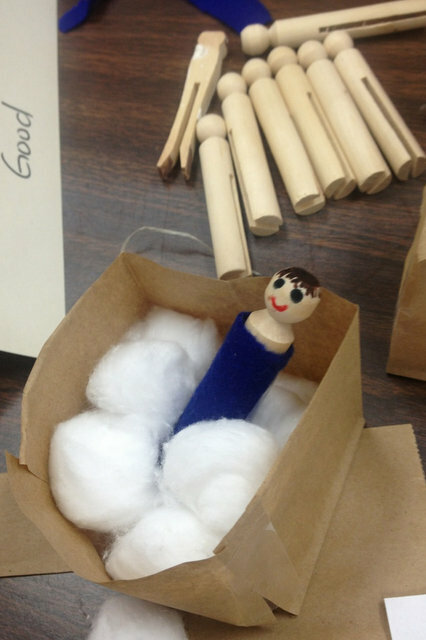 What fun the children will have in our Make A Gift for God Time! 1. 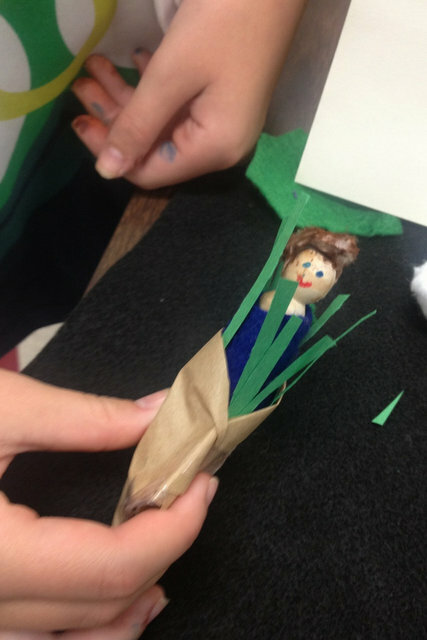 Children can recreate the Moses in the Reeds scene, as shown here. 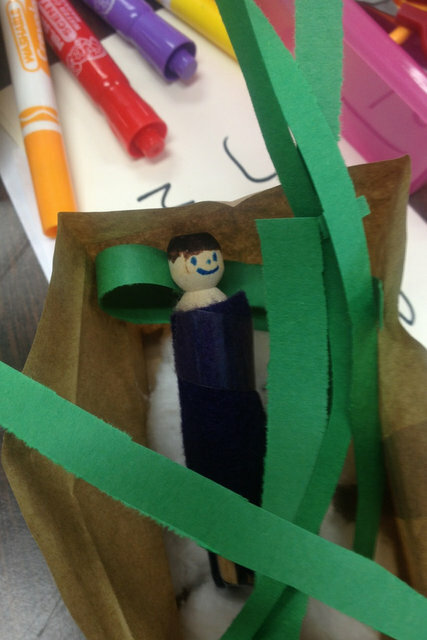 (Scroll down to the part showing Moses in an Egg Carton Cup) Children can make their own basket and baby Moses using an a cup cut from an egg carton or paper bag- and whatever they like to make Moses (paper or a cotton ball for a head, felt for a blanket, etc). Blue construction paper could be the river and green for the reeds. They could even make the rest of the materials in the Godly Play story basket: a paper chain, a shepherd’s crook, the burning bush. So that they get more invested in their work, allow them to make as many choices as to how they create the scene as possible. I’ll have egg cartons, cotton balls, felt, and construction paper on hand on the cart at the end of the hall. Be sure to take photos of their work! 2. 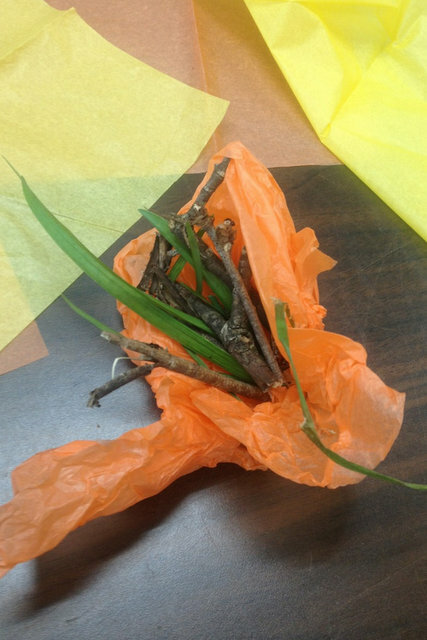 What would the burning bush look like? 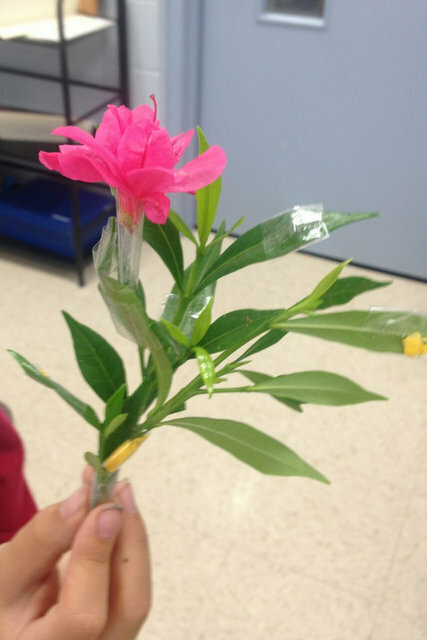 Children can use their imaginations to recreate it with tissue paper or other materials. Look here for another way to represent it. I’ll have tissue paper and stones on hand for you on the cart. 3. Younger kids (1st or 2nd grade?) would LOVE using a water table and setting up the scene with baby baskets and reeds as shown on this precious blog, here. Really! Check it out! You’ll want to join in the fun if you take a look! Let me know if you want to use a water table in your room and I’ll try to borrow one for you! 4. Older children might enjoy videoing a news reporter, interviewing bystanders who’ve observed different parts of Moses’ life first hand. Children could even set it in modern times, if they wanted to. (How would it be different if it happened today?) My camera will be in the drawer. Be sure to video! 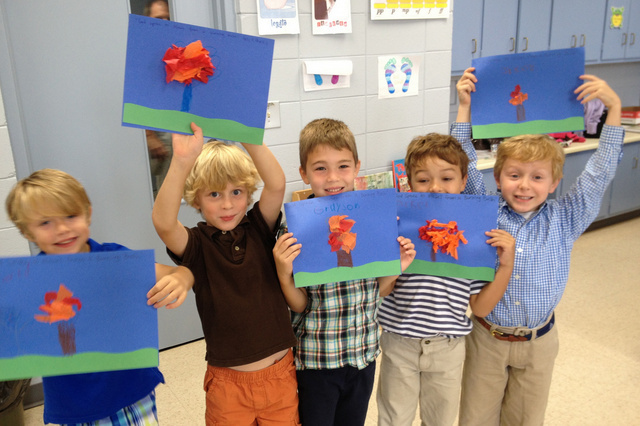 See more art response ideas at my Pinterest page on the story, here.